Rockinghams supply and deliver in South West, South East and South London area. "Voted best quality & value mixed soil in London"
All bulk / ton bags from £45.00 each (inc VAT) for Soil, Compost, Soil Improver and Fertilizer. 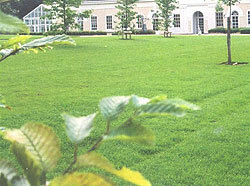 Rockinghams supply Turf & Soil in Croydon, Bromley, Beckenham, South West, South East & South London. Rockingham's are an established family business who have been supplying & laying turf since the original 3' x 1' flat turfs became available in the 1950s. Nowadays there is a greater choice & size than ever before. We offer a unique professional service, which we believe cannot be matched. 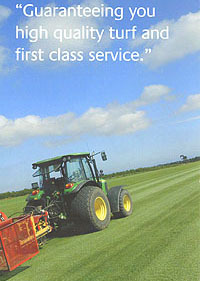 All Rockingham's staff are qualified in turf management and have many years experience. All teams average over 100 jobs per year and are very knowledgeable and friendly. 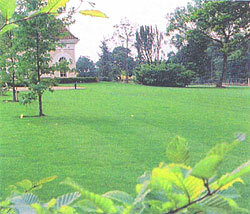 We have fresh turf delivered every day and a comprehensive range of soils of different grades. Rockinghams are an established family firm (1901) with a knowledgeable & friendly approach. They have fully qualified staff and offer expert advice. Rockinghams are also fully insured. We guarantee that quality, price and service is unbeatable. We deliver all soil or turf on our own vehicles and can offer crane or fork lift unload. We can provide deliveries at times convenient or in small trucks if required. Beware - ordering turf online from companies that deliver from areas that are many 100's of miles away - sometimes the other side of the country. Not only is this turf over-priced but it won't usually be delivered fresh. Beware - ordering turf or soil from companies that have named turf/soil. Usually this is inferior to ours and they are normally overpriced. Beware - ordering turf from companies that do not have local premises where turf is delivered fresh every day and available for inspection or collection. Beware - do not buy from phone companies who work from home or a mobile phone only - you will usually pay far too much for inferior turf. Beware - buying from builders merchants or D.I.Y chains usually costs more for inferior products as they do not have deliveries every day. Beware - many companies use an outside party (courier) to deliver turf to the retail market. They deliver on pallets via a tail lift which cannot get up raised kerbs, cannot move on gravel, soil or grass and cannot be lifted over obstacles. Mostly the operators will only leave turf or soil in the road.